Shopping and helping others go hand in hand. When you purchase clothing, accessories, housewares, and more from any of our Ohio thrift stores, you're both saving money and contributing to programs that help save lives. 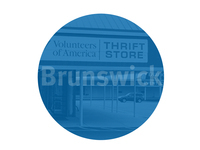 We have many convenient Volunteers of America thrift stores all across the state of Ohio. 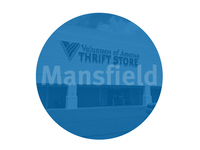 For all of your thrift shopping needs, and even thrift store donations, we're never too far away. Click on the cities below to find the nearest one to you. 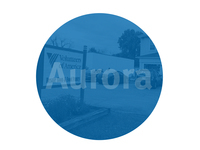 Our Aurora store is in Northeast Ohio and is close proximity to Akron, Cleveland, and more. Our Brunswick store is in Northeast Ohio and close proximity to Akron, Cleveland, and more. 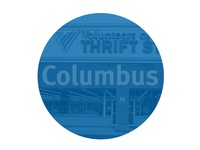 At the heart of the state we have four Columbus thrift stores in convenient locations. Our Grove City location is in Central Ohio and just southwest of Columbus. Our Mansfield store is in North Central Ohio and a convenient option for those located in Knox and Morrow counties. Our North Olmsted store is in Northeast Ohio and close proximity to Cleveland, Elyria, Akron and more. 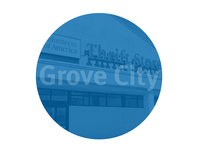 Our Pickerington thrift store is located in the southeast region of Columbus, near Baltimore and Reynoldsburg. Still have questions? We have answers and we're happy to help. Receive a monthly email with thrifting tips, DIY ideas, and upcoming sale dates!